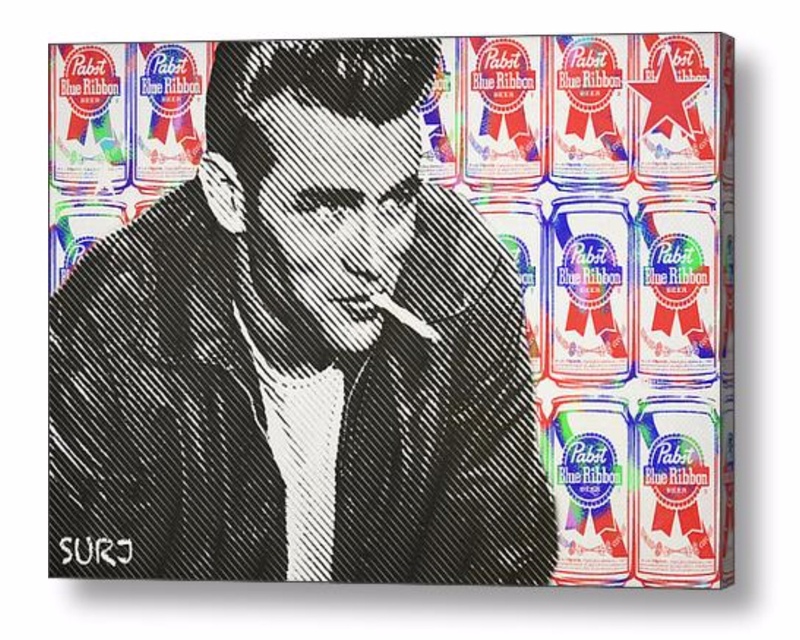 Halftone wheat pasted against “Warhol” style PBR multiple wallpaper. THe classic red and blue give it the original feel, with a little green color splash for good measure! Who’s cooler than James Dean? Nobody. . . . .